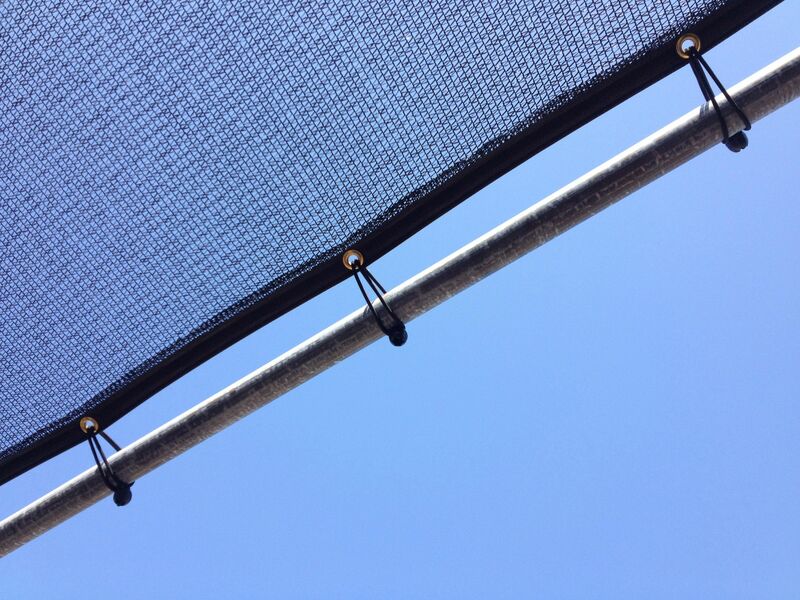 The rope part of the bungee slides through the grommets and the ball holds the panels in place. 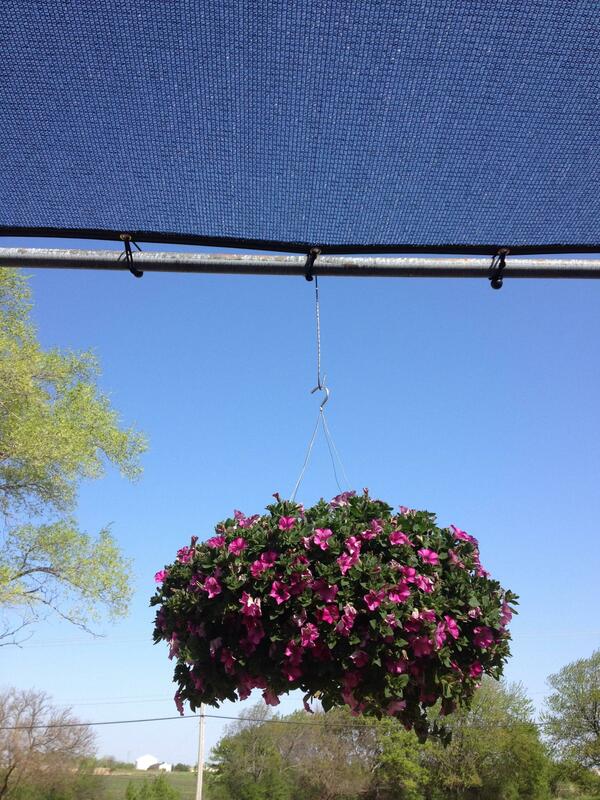 Ideal if you plan on taking your shade down in the winter months. Easy to use. Shipping, Just $9.99 for your entire order. Order today, ships tommorow.